Does Insurance Cover Flooding? Is it Considered an Act of God? Hi Peggy, and thanks for reaching out with this question from your readers. It is very important for homeowners and tenants to fully understand their home insurance coverage. With changing extreme weather patterns, questions around flooding is a common question these days. So, what is covered and what is not covered by insurance in case of flooding for owners/tenants? It is a simple question, but unfortunately there is not a simple answer. If you ask that question to one insurance company, and outline the specifics of exactly what happened, you can get a direct answer from the insurance company. However, with your question, it is general in nature and the answer could be very different depending on the specific insurance company and the circumstances (As an independent insurance broker, we represent many different insurance companies). It is very important that your clients refer to their specific insurance policy and speak to their insurance broker or representative for specifics related to their situation, but, let’s try to shed some light in a general sense. Please remind your clients that I am speaking from my perspective as a licenced insurance broker in the province of Ontario. This is not intended to be a description of coverage, and does not include all details of the coverage nor the terms, conditions, qualifications, limitations and exclusions applicable. Until recently, coverage for flooding was not available in Canada. 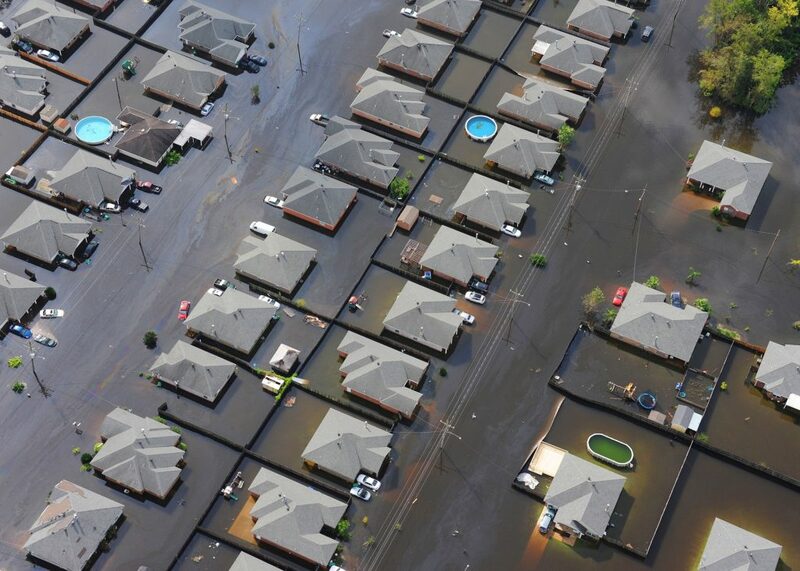 Flooding, or what is known as “overland water” damage to insurance companies, is now an optional coverage, that is likely NOT included in your standard comprehensive homeowners policy. For an additional premium, you can and should add overland water coverage if it is available (most but not all insurance companies have this extended coverage). Unfortunately, overland water does not have a universal definition among all insurance companies the way “fire” coverage does. Each company will have slightly different definitions. It’s important to know the details of the coverage with your respective company. (If working with an Independent Insurance Broker – Ask them. They are there to help you). For example, most companies will cover overland water damage caused by torrential rain – however, not all will cover you for overland water damage from the overflow of lakes/rivers. Some will cover you from overflow from lakes/rivers, but not if you live within 100 m of a body of water. Others will only provide a certain limit of coverage; example $10,000 or $25,000 in coverage if you are deemed to be living in a high risk zone, or too close to a river/lake. This limit may be very low, and could be inadequate for anyone with a finished basement, barely covering the clean-up costs and leaving you on the hook for any repairs and rebuilding. As for renters, the tenants or renter insurance policy would be slightly different than a home insurance policy. The difference, of course, is that tenants insurance would cover your contents and not the building itself. You would be discussing coverage for the things you own, up to the limit of insurance you purchased. Not so fast! Those living in a high rise building often do not think about their unit being rendered unlivable when excessive water on the main floor knocks out power or disables elevators. Without the proper coverage you run the risk of having to pay out of pocket to make alternate living arrangements while it takes time for these things to be repaired. Discuss your specific situation with your independent broker to see what is the right coverage for your unique situation. As for the question about “Act of God”… It is funny that I get this question quite often also. “Act of God” traditionally, is a term used for a peril or event that had zero human intervention. Often unpredictable, sudden, or without warning. Natural disasters often would fall into this definition. The reason it’s funny, is that contrary to popular belief, acts of God are not always covered on a policy. Your comprehensive policy wording will specifically outline what is covered, and it does not specifically exclude ALL “Act of God” events. Some of these events are automatically covered in most policies, others are not. Specific to this example we are discussing overland water damage as described above. Is it a natural disaster? Is it an “Act of God”? The answer is – possibly? Is it covered by your insurance company? Yes, if you purchase the optional coverage, and if the event that happened meets the definition of what is covered in your policy (Remember: this may be different from one insurance company to another). The same thing can be said about earthquake coverage. Most people would definitely describe this event as an “Act of God”. It is not automatically covered but can be added onto most policies for an additional premium. It is important to speak to your insurance broker to see what natural disasters would be covered where you live, and with the policy you have.